The name speaks for it's self! 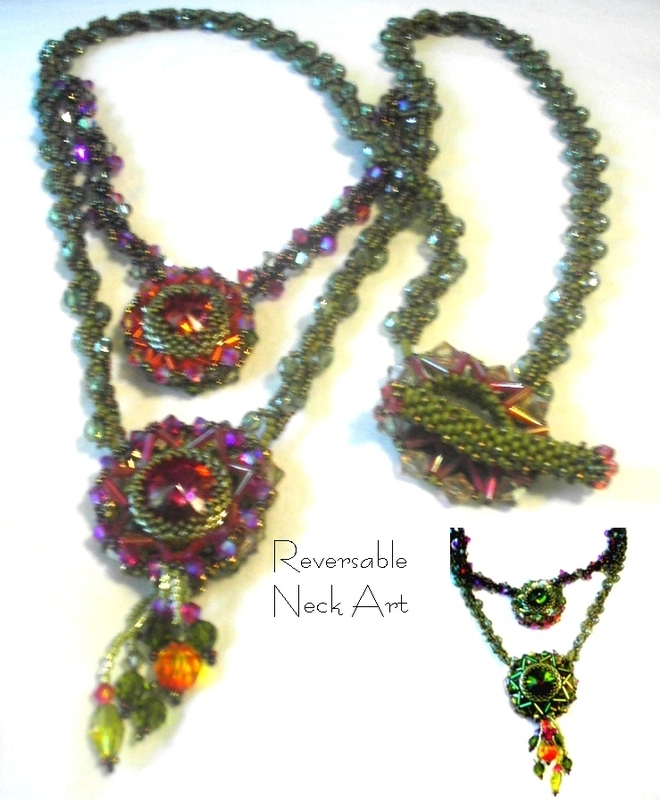 A reversible necklace allowing you to create 2 different yet harmonious color schemes. Weave 2 separate wheels one encasing 2 smaller 14 mm Rivolis crystals and the other 2 larger 16 mm or 18 mm Rivoli crystals. These wheels have spokes of bugle beads that are zigzagged together with crystals and pearls. Both pieces are suspended from an embellished Spiral Rope chains.